Did you know that the collective noun for rhinos is a ‘crash’ and that they can reach speeds of up to 30 mph? 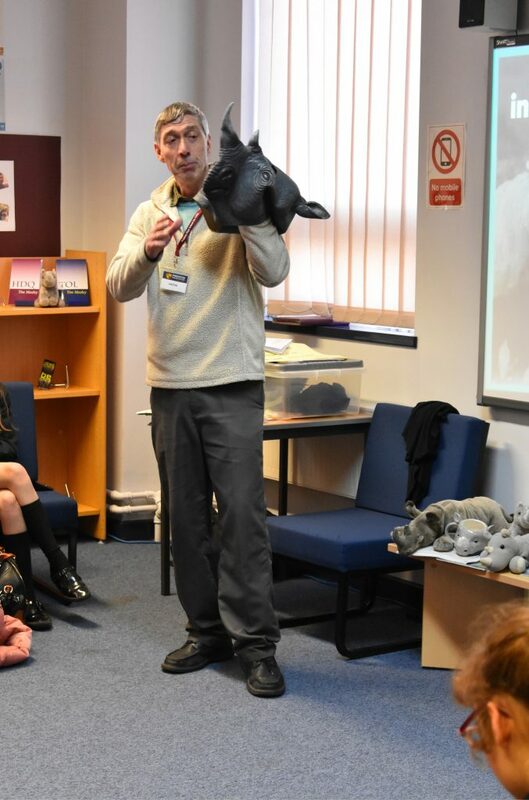 Helping us to understand more about these wonderful animals was author Tim Moxley, who joined us so we could learn more about his passion – the rhinoceros, or chubby unicorns as he calls them! Tim, who lives in north Wales, has written five books – the first four are adventure stories each with a historical theme – but it is the inspiration for his last book, ‘RIP: Rhinos In Peril’, that was the subject of his talk. In a double presentation with fellow keen rhino conservationist Miss Jones, teacher of mathematics, Tim treated us to a lunchtime in which we learned why so many rhinos are being killed, making them a much endangered species. 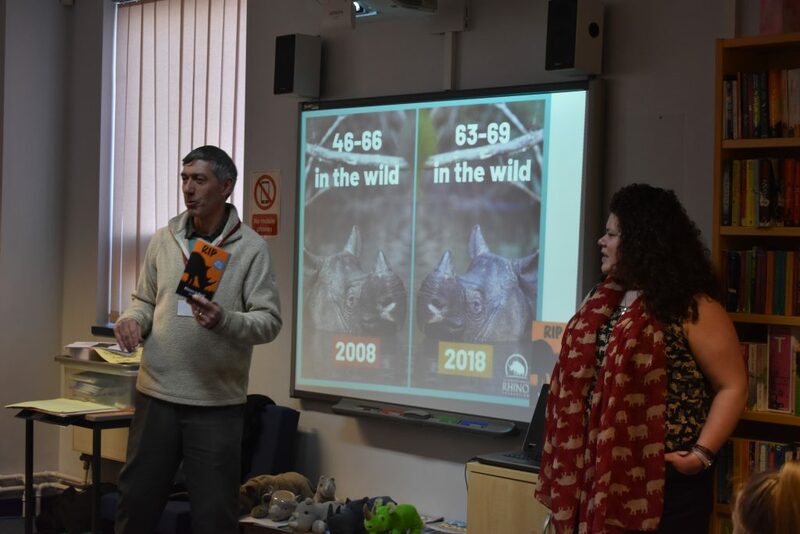 Miss Jones and Tim met as volunteers in South Africa on the Save the Rhino project and students were told about how she survived being chased by a wild rhino during her visit there! One of the characters in Tim’s book – all sales proceeds go towards the Save the Rhino charity – is also modelled on Miss Jones herself, making it a ‘must read’ for us all here at Prenton! 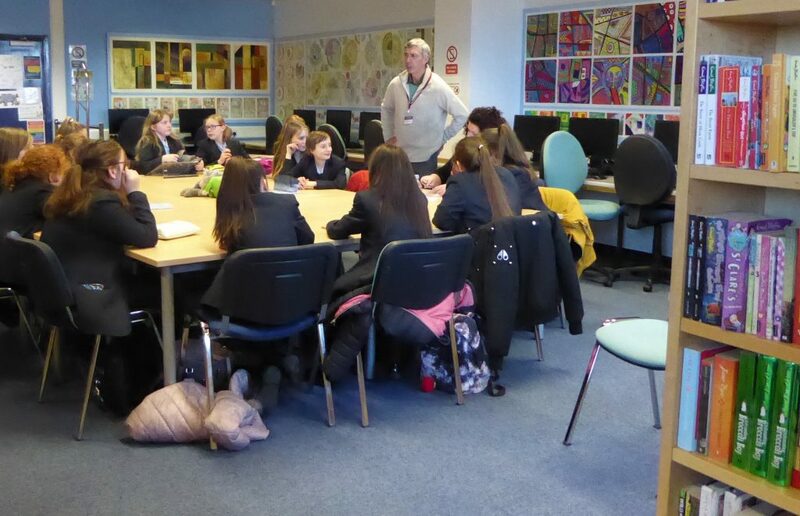 Tim rounded off his afternoon working on a Creative Writing workshop with a group of Year 7 students. Thank you to Miss Jones, and to Tim for visiting us, and sharing your joint passion on chubby unicorns!